If you have thought carefully about adopting a cat and now feel ready to give one of our cats a caring home, it's time to take the next step. Identify your local Cats Protection branch or adoption centre and give them a call. Tell us about the kind of cat you are looking for and a little about yourself. 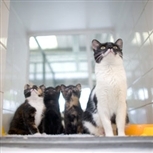 If you are visiting one of our adoption centres, you can also meet some of the cats looking for a home. 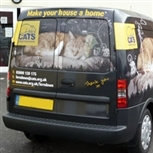 Not every cat will suit your specific environment so we usually carry out a home visit to ensure that we find a cat that fits your circumstances. 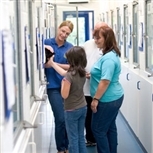 Visit the cats and take the opportunity to speak with one of us about our homing procedure and the different cats’ characters. Once you've had your home visit, you can collect your new family member. As our cat care costs can be in excess of £150 per cat, we do ask that adopters pay a fee to enable us to carry on helping more cats in need. Your local branch or centre will be able to advise further. If you have any queries after taking your cat home, please give the branch or adoption centre a call – we’re here to help! 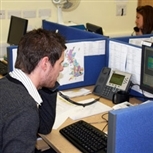 Our National Helpline 03000 12 12 12 is also here to help you (Monday to Friday; 9am-5pm).